HA NOI (VNS) — It is time for Viet Nam to shift its population policy's focus from birth control to a more holistic integration of population variables in development planning. Experts agreed on the above-mentioned point at a policy dialogue on population and sustainable development, which was co-organised by the Central Committee of the Viet Nam Fatherland Front (VFF) and the United Nations Population Fund (UNFPA) in Viet Nam in Ha Noi today. During the policy dialogue, the participants discussed and shared experiences from their local practices on the development and implementation of population and development policies, and on raising awareness and changing behaviour of the society on integrating population variables in development. The participants also provided suggestions and recommendations on the development and implementation of population policies, in which population would go together with sustainable development. 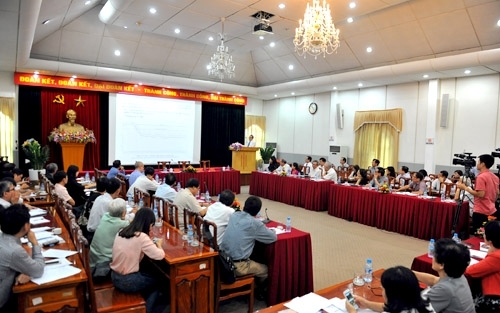 Deputy Chairman of the VFF Le Ba Trinh said Viet Nam was undergoing unique demographic changes. Data from national population surveys indicate that the fertility rate consistently declined and reached below the replacement level in the last decade. While Viet Nam is in a demographic dividend, the country officially entered the so-called "ageing phase" in 2011 as a result of declining fertility and mortality rates, and longer longevity and life expectancy. 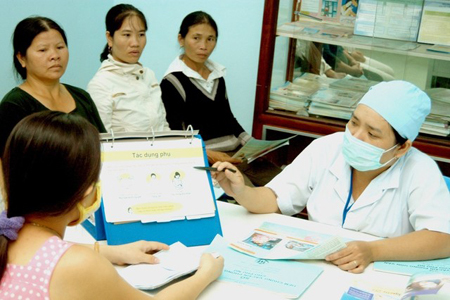 These demographic changes require Viet Nam to have a new policy approach to population issues that do not narrowly focus on family planning or the health aspects of population issues. Viet Nam was indeed at a crossroads that would decide which way would lead to sustainable development, Trinh said. UNFPA Representative Ritsu Nacken said the coming population policy and law should respect and protect reproductive rights and reproductive choice. It means that each individual and couple has rights to decide freely and responsibly the number of their children and that they should have adequate information and the means to do so.